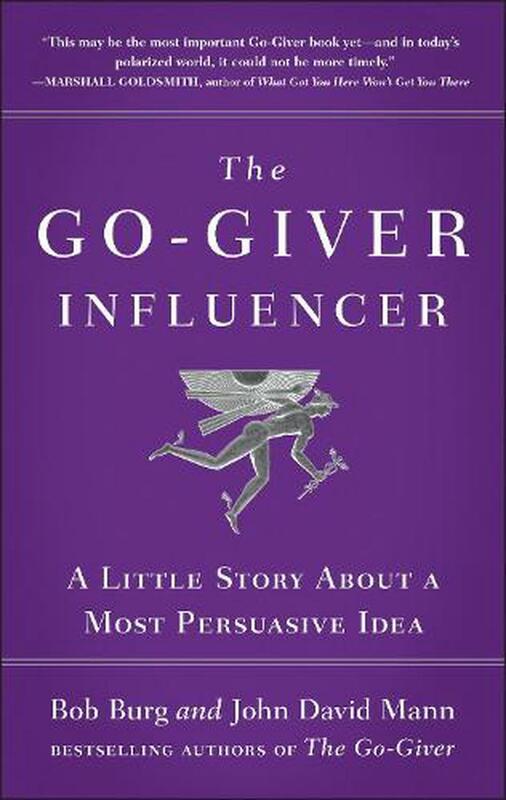 The Go-Giver Influencer is a story about two young, ambitious businesspeople- Gillian Waters, the chief buyer for Smith & Banks, a midsized company that operates a national chain of pet accessory stores; and Jackson Hill, the founder of Angels Clothed in Fur, a small but growing manufacturer of all-natural pet foods. At first, the negotiations are adversarial and frustrating. Then, coincidentally, Gillian and Jackson each encounter a mysterious yet kindly mentor. Over the next week, while neither one realizes the other is doing the same, both Gillian and Jackson learn the heart of their mentor's philosophy- The Five Secrets of Ultimate Influence. The story ends in a way that surprises everyone -- and with lessons we can all apply to our efforts to influence and persuade others. Bob Burg and John David Mann are the coauthors of The Go-Giver, Go-Givers Sell More, and The Go-Giver Leader. A former top sales professional, Burg is a sought-after conference speaker and the author of Endless Referrals. Mann is the New York Times bestselling coauthor of Flash Foresight, The Red Circle, and Among Heroes. "Bob Burg and John David Mann know what many people don't: that the most effective negotiation isn't about intimidation, it's about listening." --Sheryl O'Loughlin, CEO of REBBL, former CEO of Clif Bar and cofounder of Plum, Inc.